Oracle Web Services Manages (OWSM) is an integral component of the SOA Infrastructure in SOA Suite 11g. It provides a policy-based, completely declarative way of implementing secure SOA applications. OWSM supports centrally managed generalized, standards-based policy management, attachment policies by providing policy management functions that are available through the Oracle Enterprise Manager (EM). 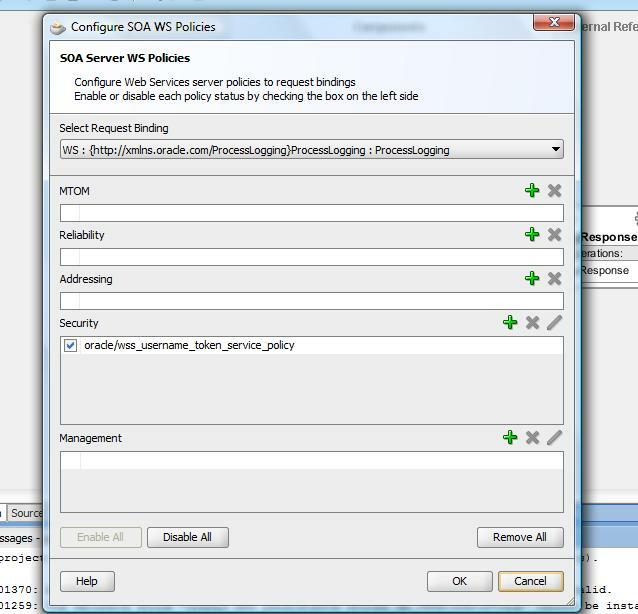 Right click on the composite client, and choose select the option Configure WS Policies. Right click the secured web. service component in the composite and choose the option to Configure WS Policies. Click the + sign on the security tab and select security policy "wss_username_token_client_policy.